Hi guys! I hope you are all having a great Good Friday, and for Christians full of prayer and mediation. Today I’ll be a bit less active in the spirit of the day, and I’m eagerly awaiting Easter, the day that Christ has risen from the dead! When I got back from DECA SCDC a few weeks ago, I received in the mail a huge book called The Queens of Innis Lear by Tessa Gratton. I love fantasy, but I was very surprised by its massive size. I am so glad to be on the Blog Tour for this wonderful King Lear fantasy retelling, and I hope that you will check out Tessa’s latest novel! Disclaimer: Thanks so much to Tor and JeanBookNerd for sending me a hardcover copy of this book in exchange for an honest review for the blog tour. This will not affect my review in any way. To be honest, when I first received this book, I felt overwhelmed by its massive size: 576 pages with the print smaller and packed tightly. I did not think at first I would be able to complete it by today. When I first started The Queens of Innis Lear, Part One went by very slowly. I thought to myself, “How will I be able to get through this tome at this pace?” and I read lighter books when I did not feel in the mood for an extremely dark adult fantasy. But as I went on, deeper and deeper into the storyline, I found myself not wanting to stop. I became entranced by all the bloodshed, the betrayal, and the magic, and everything started to play in my mind like a movie. Miraculously, I’m writing this book on the Sunday before this review/tour stop is supposed to go live, and I’m writing in a bit of a different style than I normally do. The Queens of Innis Lear is a clever and imaginative epic fantasy retelling of Shakespeare’s King Lear with a Game of Thrones-esque atmosphere. I am not familiar with King Lear at all before reading this novel, so I decided to read the Wikipedia summary (gasp! though I highly recommend it before reading this book) of the play to get some background information. Gratton truly kept the essence of Shakespeare’s original work while adding her own fantasy elements and literary style, which created a beautiful and elegant masterpiece of prose and morality. I loved how names and events were very similar to the play’s (such as Elia = Cordelia, Regan = Regan, Gaela = Goneril, Elia/Cordelia is banished from Innis Lear/England, illegitimate Ban/Edmund devises a plan to exile his true-blood brother Rory/Edgar). The world-building of the entire novel just fascinated me, and I did not want to leave! All my questions about who’s who and what’s what became answered as I progressed further into the novel. I wish there was a map, though — that would make the reading experience even better! 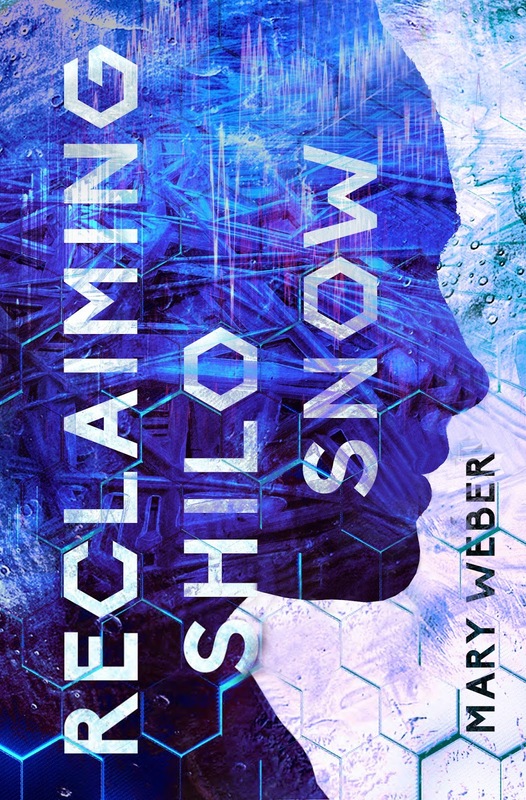 Reclaiming Shilo Snow Scavenger Hunt: Exclusive Interview with Mary Weber + TWO Giveaways! Hi guys! This is my first ever post that is a stop for a scavenger hunt! I’ve participated in a few as a player, especially the biannual YASH, but I’ve never been a host until now! As a member of Mary Weber’s Street Team, the Mad Hatters, I am super excited to be welcoming you to the Scavenger Hunt Tour for Reclaiming Shilo Snow by Mary Weber, in collaboration with Thomas Nelson & Zondervan Fiction and JustRead Publicity Tours! By the way, my scavenger hunt clue word is hidden in the Q&A, but it’s bolded and purple! But as she and Ambassador Miguel partner to find her brother and warn those on Earth of Delon’s dark designs on humanity, Sofi’s memories threaten to overtake her, distorting everything she holds true. She knows the Delonese kept her in a dark, deceptive place . . . and destroyed a portion of her life. Now, the more they discover of Sofi’s past, the more Sofi feels herself unraveling—as each new revelation has her questioning the very existence of reality.In this harrowing sequel to The Evaporation of Sofi Snow, Sofi and Miguel must trust each other and discover the secrets locked inside Sofi’s mind as the line between what’s real and what they imagine begins to slip away . . . threatening to take humanity with it. Buy The Evaporation of Sofi Snow Today! The scavenger hunt word is hidden somewhere in this Q&A! It’s purple and bolded! Hi there!! Thanks for having me on the blog! Okay, so here is my confession right off the bat – part of me always WANTED to write, but I considered myself rather horrible at it. Then about ten years ago, I went through this season where I just sort of hit pause on life. I distinctly remember feeling like I was missing a part of me. I even told my husband, “I know who I am as a wife, mother, youth counselor, etc…but I can’t find the other part of me.” During that time I began to write simply as a way to explore my soul and the beauty in others. To be honest, I think that’s probably the reason I love writing so much – it feels a bit like a pause button in the midst of life’s busyness. One that allows us to take a step back, assess our thoughts, relationships, and perspectives on what we’re contributing to this world. And (like it is for most everyone else) life is pretty wild and busy these days. Writing and traveling to speak is definitely a full time job, but I also work part time as a youth counselor – which means I tend to fairly regularly have a houseful of teens sprawled throughout my kitchen and on the couches. I’m pretty sure I heard one of them recently refer to me as “Crazy, but sometimes wise,” so that should sum things up nicely for you. 😉 Outside of those, we live in California and love exploring the coast with our kids, hosting parties in our backyard under white lights, and slipping in time to read! Lucky in Love Blog Tour (+ Summer of Authors #15): Exclusive Interview with Kasie West + E-ARC Review + Giveaway! Hi guys! Man, I only have two weeks until school starts! I can’t believe Summer’s already gone by that fast! At least I have a ton of posts scheduled for now! But today, I am so glad to have Kasie West here on the blog! Here’s my review and interview for Lucky in Love, which is my first Kasie West book! 1. Your latest book Lucky in Love revolves around the relationship between Maddie, a girl who recently won the lottery, and her co-worker Seth, who is unaware of Maddie’s recent win. As a YA contemporary romance writer, how do you manage to avoid overused clichés and stereotypes to make your love stories into unique and memorable ones? Well, I don’t know if I avoid that completely. Ha. But I think the way I work on avoiding that is to really focus in on the characters. That way, even if a situation feels like something that has happened before, I can focus on how the character would handle it or react to it differently than anyone else would. If I can think of the characters as real people the story feels more original. 2. What about young adults inspired you to write romances between teens, rather than adults or children? I love the themes of young adulthood. This time is full of firsts and firsts are so fun and exciting. First loves, first heartbreaks, first moves, first jobs, etc. etc. It’s so fun for me to explore these firsts. And teens feel everything so strongly. It’s a time of change and “big-ness”. 3. Have you had any exciting or funny experiences with lottery tickets, or other chance games and events? You would think that maybe I’m a big lottery player after writing a book like this, yes? But no, I’m actually not a “game of chance” type girl. I like spending my money on things that are a little more guaranteed. That said, when I pass through Vegas I occasionally give myself a $5 budget and play a couple of slot machines. In the past I’ve won $20! I shouldn’t be so excited about that, but I was. It was fun. 4. If you were in a situation similar to Maddie’s, where you won $50 million in the lottery, what would you do with the money? I’m a beach bum and I live in a place where the summers can reach 115 degrees. So, if I won that much money, I’d love to buy a home on the beach. That sounds like heaven to me. 5. Have any of the events in your most recent book or your past novels been based off of your personal experiences or people you know? I wish this book was based off of my real life! That would be awesome. But no, my books are mostly from my imagination. I always say that I don’t base any of my books off of my personal experiences, but I’m sure that some of my experiences have spilled over into my books in some way or other. Especially the emotional experiences I’ve had in past relationships or friendships or things like that. It’s nearly impossible to keep myself out of my books, since I’m the one writing them. 6. How do you want to impact readers with Lucky in Love? What are a few themes that you want readers to take away from the novel? I hope readers will realize that money isn’t everything. That maybe sometimes we think “if only I had this or that … I’d be happy”. But it is so important to be happy where we are, in our moment. Also, I think hard work is way more important than luck. Here’s my review of Lucky in Love! Disclaimer: I received a free e-ARC of this book from Edelweiss via the publisher and the Flying Fantastic Book Club Tours in exchange for an honest review. Overall Thoughts: This is actually my first Kasie West book I have read (I know, how could a YA contemporary romance guy not read a Kasie West or Morgan Matson book?) and I actually really like the book. It did start off a bit shaky for me since it was very light, but it’s the perfect summer read to take to the beach. It definitely is a cute overload! It’s a book thay not only will make you swoon and go “Awwww” at the romance and characters, but it’s also one that explores life lessons, especially ones about money, friendship, and family. Now, I want more Kasie West books! Romance and Life Lessons: Certainly, West has blended romance with dilemmas to create a book that will leave you with both a smile and thoughts about life. Although I wished there was more romance, the book was so cute! I mean, it’s like as if I’m watching a rom com (like Legally Blonde but a high school version with no innuendos). If this was a movie, I would certainly watch it! I love seeing the fire slowly ignite between Maddie and Seth. It was definitely a ball if cuteness in book form! Regarding the life lessons, it definitely shows you the power money has when it comes to changing your life. Even though you can question some of Maddie’s decisions are very clear cut that they’ll be bad choices (like of course, if a relative calls asking for an “investment,” he’s probably just scamming you, an I right? ), it does portray correctly how teens can be a bit reckless with their money sometimes. (I’m more of the “overestimate all the costs” type of guy.) It leaves you definitely with lessons about money, friendship, and family that some contemporary romances don’t have, which I really like. I think that it’s good when a book has a moral, so it not only entertains you, but teaches you at the same time. That’s how you change a life. A Few Things: Now like I said, it did start off shaky for me a bit. I had to get used to the light writing style because I love reading deep, descriptive stuff. I could have felt a bit more of emotional connection and seen a little more vivid imagery, but because this book is meant to be a quick read, I didn’t mind it. I also wish there was more romantic parts! I would love that! Regardless, it was a great read, and I just didn’t want to put it down! Concluding Thoughts: I really want to read more Kasie West books right now! Lucky in Love was such a fun, light, and cute that I’ll be looking forward to more of West’s upcoming works. I finished it in two days because it definitely got me hooked and feeling happy. Lucky in Love is a book you’ll fall in love with like a good scoop of ice cream on a hot Summer day. It’s the perfect summer read to bring anywhere you go! Summer of Authors #11: Excerpt from The United Continuums: My Author Q&A with Jennifer Brody! Hi guys! I have some exciting news! I did an interview that is going to be printed in a book! Yes, an actual book! A few months ago, Jennifer Brody (who is super amazing) asked me to do the questions for the Q&A that will be featured in the back of The United Continnuums, which is the last installment in her award-winning The Continuum Trilogy, which is also my favorite series (and TUC is the best book and one of my top 3 favorites!). The United Continuums releases tomorrow July 11th, 2017, and I urge you to get it or enter the giveaway for a signed copy below! I definitely recommend reading all three books because they are so awesome! If you need reasons why to read them, check out my three reviews below! Now, to celebrate the release of TUC, Jennifer, her publisher, and I have agreed to release this exclusive interview excerpt, along with a giveaway of her book! And thank you so much, Jennifer, for letting me do these questions and featuring me in your book. It is certainly a dream come true and an amazing honor to do the interview for The United Continuums, which is one of my favorite books of all time. I’m so happy for you that the series is finally complete! Warning: There are some spoilers in a few of these questions below, so I will give a *SPOILER ALERT* before these questions! In the epic conclusion to the award-winning Continuum Trilogy, Aero leads a group insurgents from the Second Continuum to overthrow his rival Supreme General Vinick and unite his space colony s military forces, while Seeker takes on a secret mission back to her home colony to reinforce Earth’s defenses and defend the First Continuum against an even greater threat. Meanwhile, Myra s nightmares have become a reality as the Dark Thing hurtles toward Earth with designs on eradicating the planet s fledgling populace. The only thing standing in the way are the three Carriers and those who would join them to fight against a second coming of the Doom. This is going to be printed in The United Continuums! My name is in a book!!! Doing an interview for a book is a dream come true! Thanks so much, Jennifer!!! What inspired you to write The Continuum Trilogy? Originally, I came up with the idea during the BP oil spill in the Gulf of Mexico. I was sitting at home and watching the TV news coverage of the oil spreading over the top of the ocean and suffocating birds and fish. As I stared at the dark sludge, feeling horrified, I started to wonder what would happen if we couldn’t live on the surface anymore. I couldn’t shake the idea. I kept asking myself more and more what if questions. In this way, the idea for the Continuum Universe started to form in my mind. At first, I thought of having underwater colonies, but quickly realized that we would build Continuums in multiple environments to maximize our chances for long-term survival—underwater, underground, and in outer space. In this way, the idea kept growing bigger and bigger, until I knew the story needed to expand into three books. Your books take place throughout many of the Continuums, and each one had a different history and culture to it. How did you build each Continuum so uniquely? Exactly, the original concept involved putting different societies into extreme isolation and exploring how they evolved differently. I had the idea for the underwater Thirteenth Continuum first (due to inspiration from the BP oil spill). I’ve always been fascinated by the deep-sea environment and how we know more about the surface of Mars than our own ocean trenches. Often when I’m worldbuilding, I rely on historical allegory to guide me. In this case, I based the history of that colony on the Dark Ages. I was interested in exploring how we went from a pinnacle of civilization with the Roman Empire and fell into a dark age, losing knowledge and technology. I also wanted to show how a democratic society modeled on the United States of America could devolve into a totalitarian state ruled by an oligarchy named the Synod. That’s why I included the constitutional amendments in the beginning of the first book. For the Second Continuum—the lone surviving space colony, or so we think—I wanted to make them a military colony ruled by discipline and order, very different from the religious, superstitious Thirteenth Continuum. So, I turned to ancient Sparta for guidance on how to build that colony’s world. I realized along the way that while they had advanced technology and remembered their history, they still suffered in a different way. Their overreliance on logic and systemic organization led them to suppress their emotions and revile romantic love. With each colony, each new environment, came a chance for me to build a different society. The underground Seventh Continuum devolved significantly, living in complete darkness with no technology. In their desperation to survive, they even turned to cannibalism. Influences included Lord of the Flies and also Gollum from the Lord of the Rings (who is also a devolved hobbit). This aspect of the trilogy that involves the different colonies really makes it stand out. Hi guys! Currently I’m out of town on a trip to Niagara Falls, so I’ll be on the other side of the border! I’m super excited about this trip to Canada- it’s my first time! And Summer’s almost halfway done? Can you believe it? I mean, sure I’m writing this post in early June (D-Day, to be exact), but by the time this is posted, Summer would have felt too short. In the meantime, we’re going to continue our special Summer of Authors event with Amber R. Duell! Hey! First, a huge thank you for LILbooKlovers for hosting me! I’m excited to be here and to talk about combining myth with reality. In Fragile Chaos, I got the chance to work with both sides of myths—the truth and the exaggeration—which was incredibly fun! Before I decided to create my own pantheon of gods, I read other mythologies and thought they were so crazy there was no way they could be real. I knew Cassia would be thinking the same thing. No one in her world believes in the gods and goddesses anymore, but the fantastic tales were still widespread and taught in school.